This easy-to-operate tool presses the cord into the groove with the tap of a hammer for the tightest stretch. 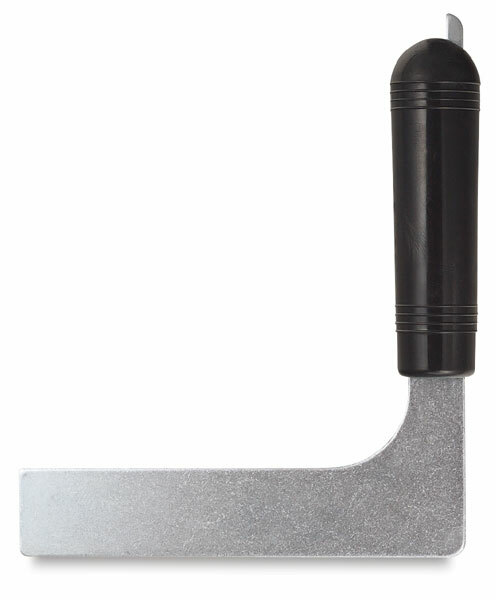 It has a smoothly finished, palm fitting, hard plastic handle with a tempered hard steel blade. A frame balluster reamer is mounted on the handle. The blade measures 5" in length and approximately 1" wide. Its handle is 3¼" long.